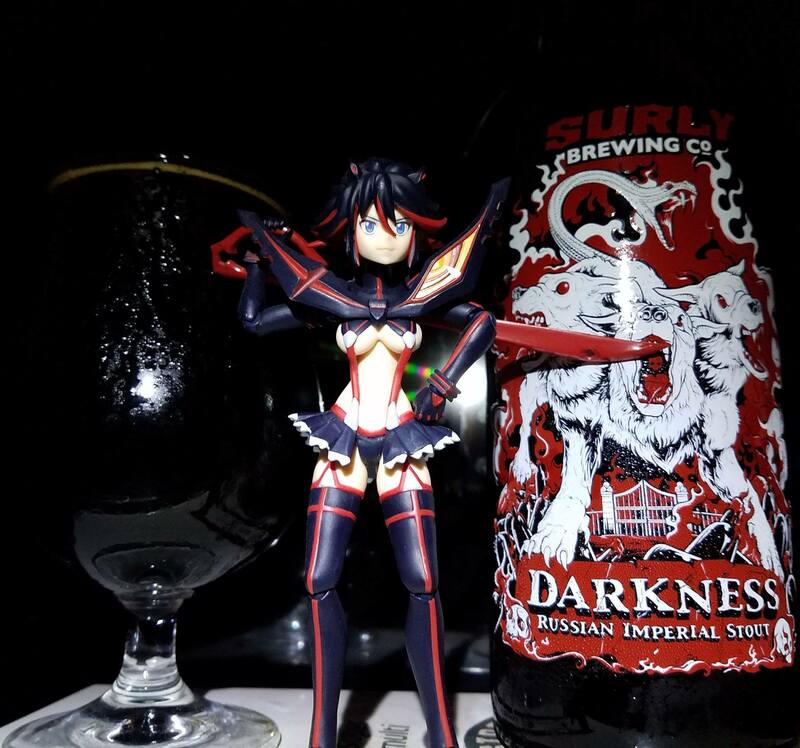 2016 Darkness by Surly brewing is a 12% ABV World Class Russian Imperial Stout. 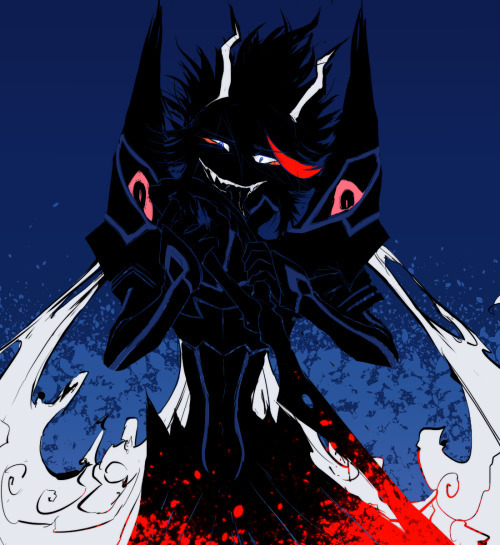 The legendary hound of Hades Cerberus was said to guard the gates of the Underworld, preventing the dead from leaving. 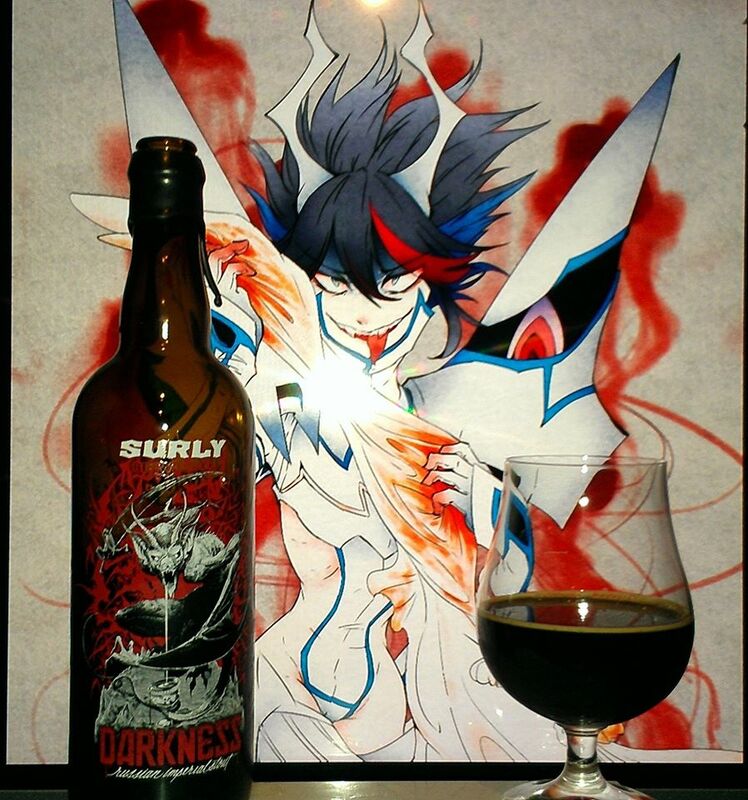 In this year’s art by Adam Martin, he also protects a massive stash of Surly Darkness. Go ahead and try to grab one. If his three heads don’t get you, his snake-headed tail certainly will. 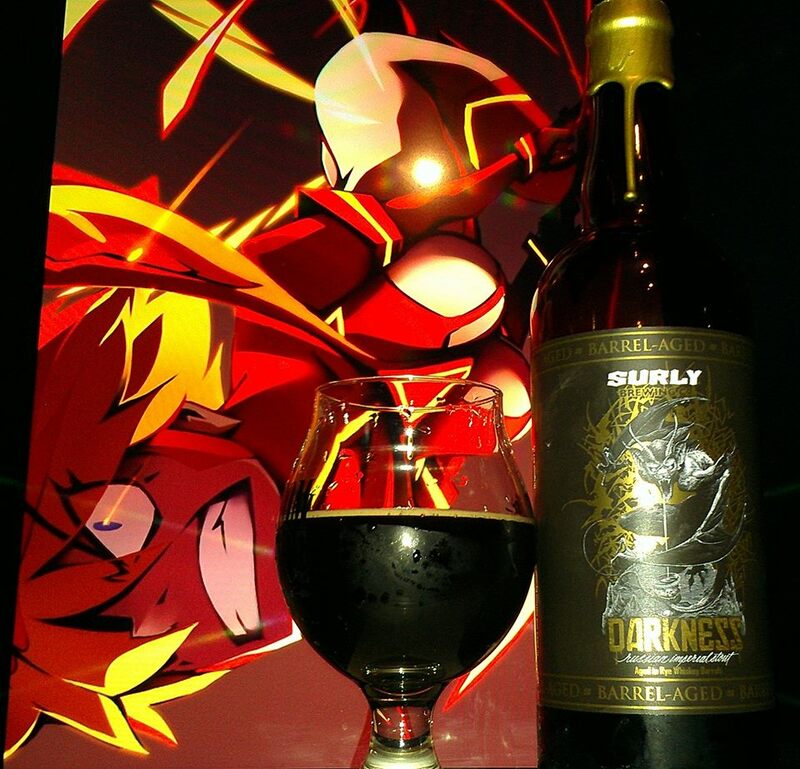 This massive Russian Imperial Stout contains notes of chocolate, coffee, dried tart cherries, and raisins. It finishes sweet, with a piney resinous hop character. 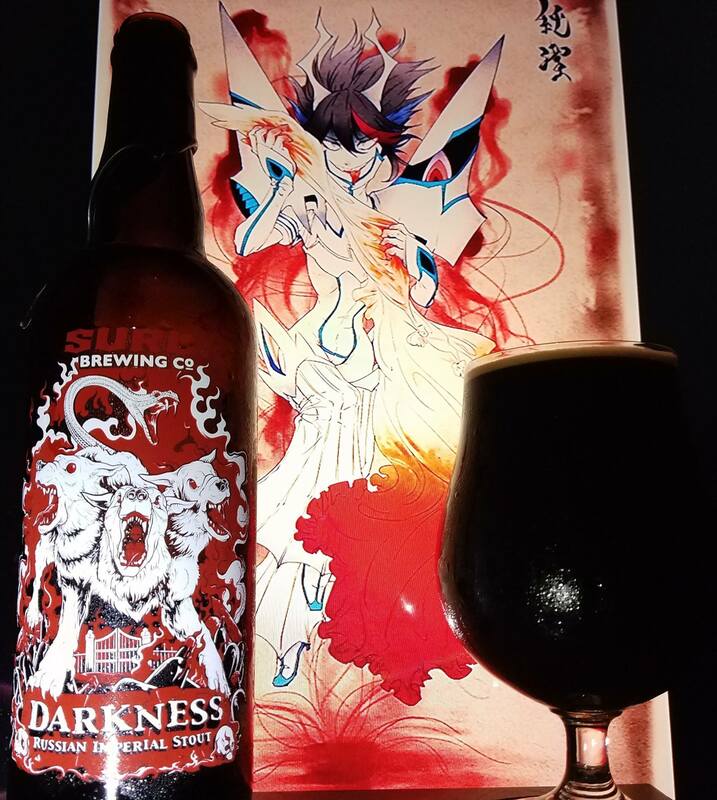 You can drink this now, or hoard it like Cerberus, it’s up to you if you want to be a bit more generous with it than he is. Wow… Stronger this year it seems. 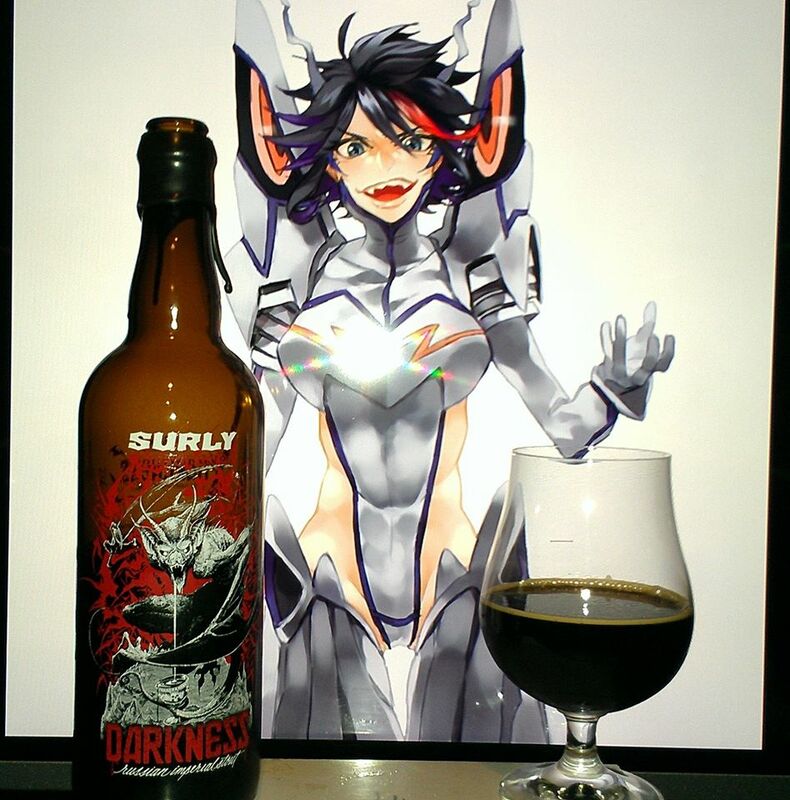 12% ABV is what many sites are giving this one and plainly it is awesome. Surly beers don’t show an ABV and sometimes, some beers won’t have any ABV listed anywhere but for 12% that is really cool. 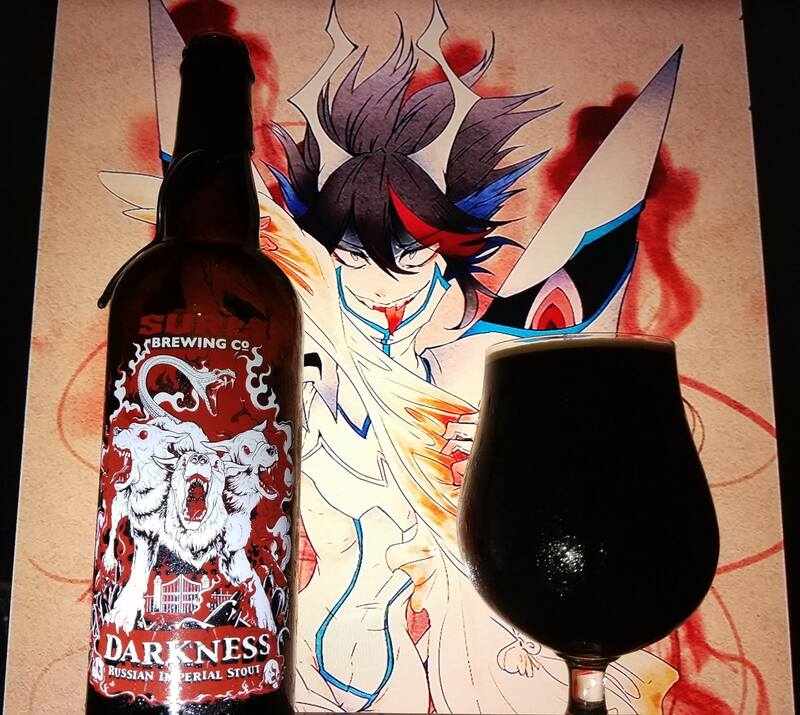 Darkness has been a very important beer. It represents the Dark Lord in the state of Minnesota similar to how California has Black Tuesday and Texas has La Muerta. 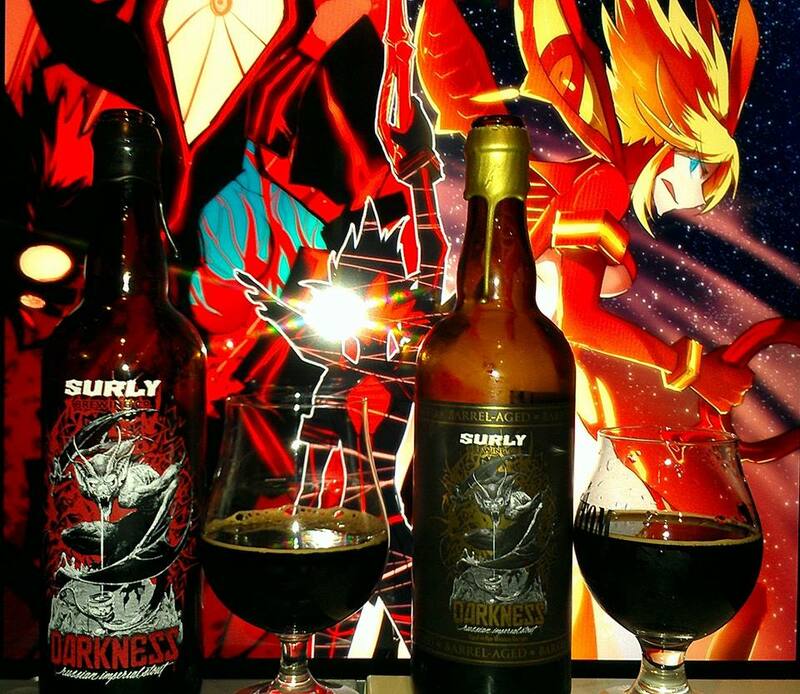 Of course, as the years go by, the hype for specialty stouts change. Like right now, one of the biggest stouts people are hyped about here in California is the Bottle Logic Fundamental Observation. 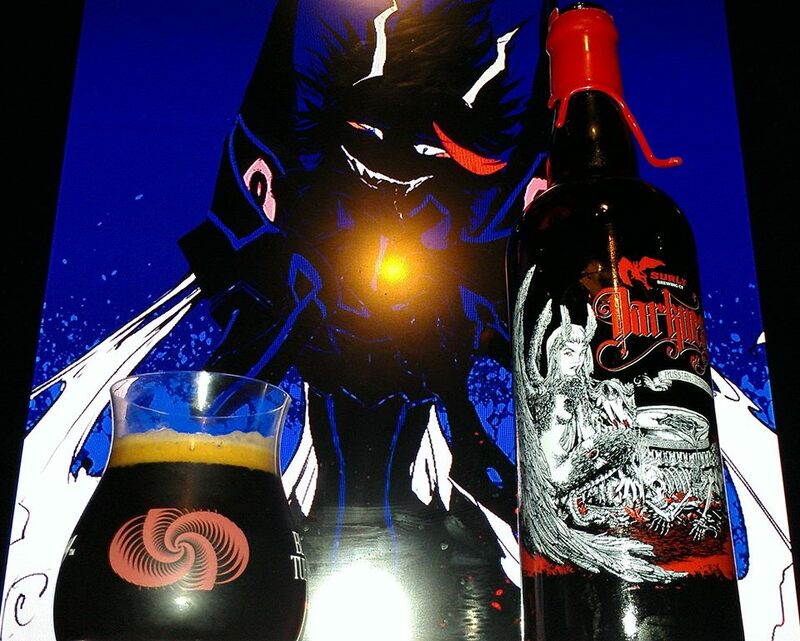 A stout I will probably not bring to the site until it becomes easier available. Anyways, every year I bring this beer to the site and every year it is always one to the masses. Let’s take a look at it shall we? Cheers! Dark fruit raisins, prunes, plums, figs, dark cherries, currants, mocha, roasted coffee, brown sugar, molasses, anise, mild rum, leather, tobacco, toasted bread on blackberry jam, rich sweetened condensed milk, tres leches cake, crème brulee, tropical fruit like passion fruit, dragon fruit, guava, grapefruit, tangerines, citrus, oranges, stone fruit mango, peaches, apricot, dulce de leche caramel, bananas, Milk chocolate, dark chocolate, bakers chocolate, fudge chocolate, chocolate mousse, brown sugar, honey, dark candi sugar, fruit cake, pecan pie, almond joy and oak. Deep Dark Abyss of 4th dimensional chocolate, milk chocolate, bakers chocolate, Belgian and German chocolates, stone fruit mango right off, peaches, apricot dark fruit raisins, prunes, currants, raspberries, plums, figs, dark cherries, molasses, anise, tropical guava, dragon fruit, passion fruit grapefruit, tangerine gummies, citrus, oranges marshmallows, lechera sweetened condensed milk, crème brulee, whipped cream, plantains, chocolate mango, brown sugar, honey, dark candi sugar, fruit cake, pecan pie, almond joy, bourbon hints, bananas, dulce de leche caramel, vanilla, maple syrup, earthy hop notes, stone fruit peaches and cream, mocha, coffee cake, cherry Dr. Pepper hints, rocky road ice cream, almond joy chocolates, toasted coconut, grahama crackers, double chocolate cake and cherry chocolate mousse. Rich Chocolate mango, coffee, tropical fruit like dragon fruit, passion fruit, earthy notes, oak, rye bread, vanilla, dulce de leche caramel, banana, dark fruit raisin, blackberry preserves, coconut, fruit cake, pecan pie and other sweet goodies. 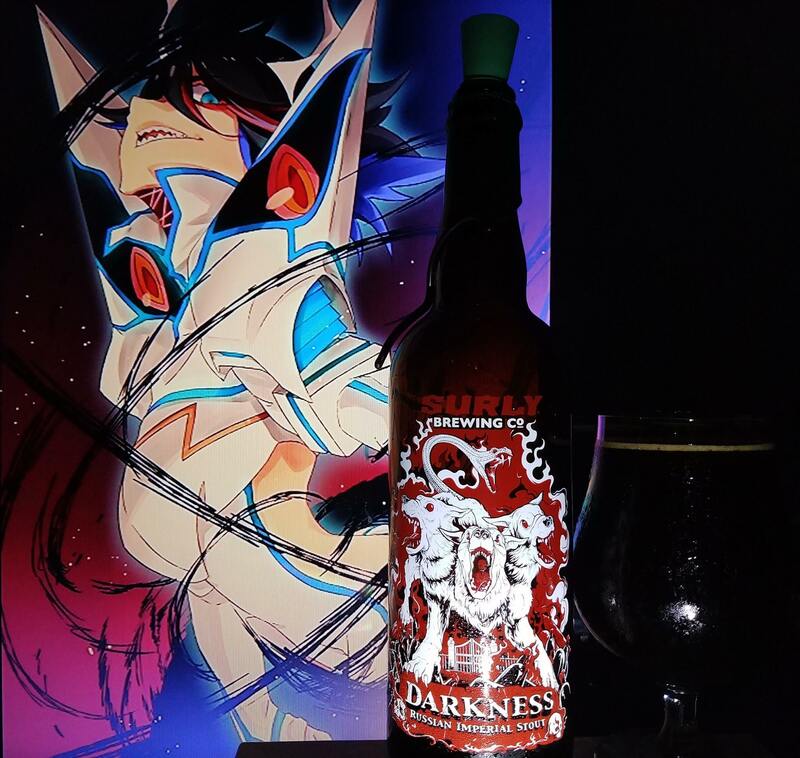 No alcohol in the taste, dark abyss, 5th dimensional dark matter body (I can see a black hole forming), smooth velvety, chewy and silky mouthfeel and a dangerously easy drinkability as past iterations. Supremely above Exceptional and definitely something is different with this one. I think with the additional ABV, the more malts that went into it and certainly enhances the flavor to new heights. 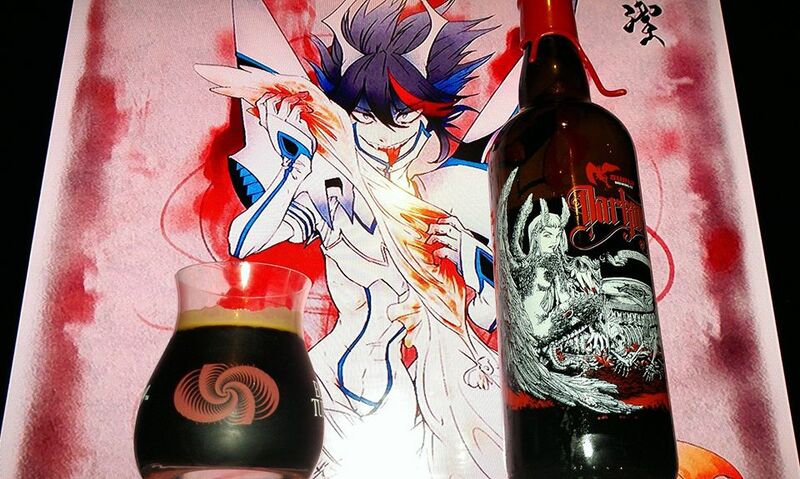 A rich complex and sweet stout that has reminiscent flavors of tropical fruit hints. Absolutely one of my favorite beers for being hard to get for sure. 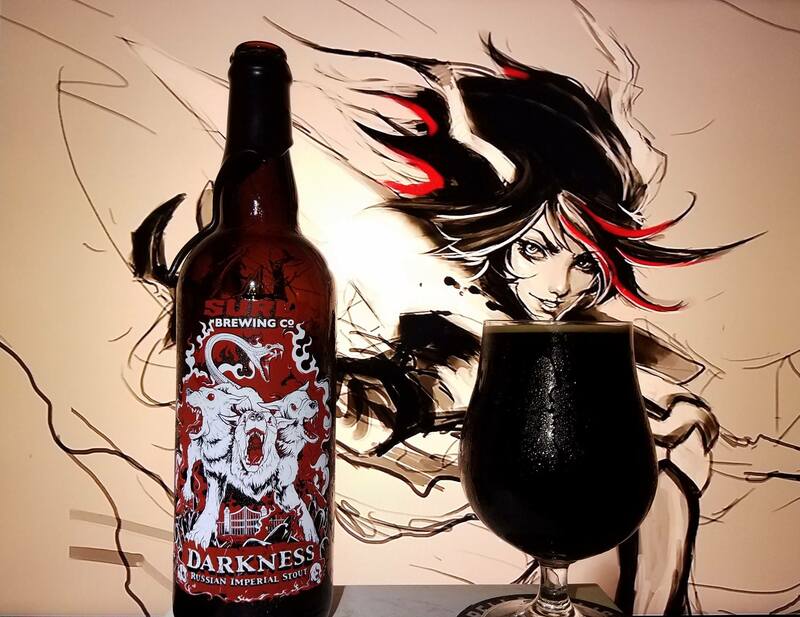 They released the Barrel aged version of this one but I think my last review of the brew with the bourbon barrel one does it justice so I will leave it be. 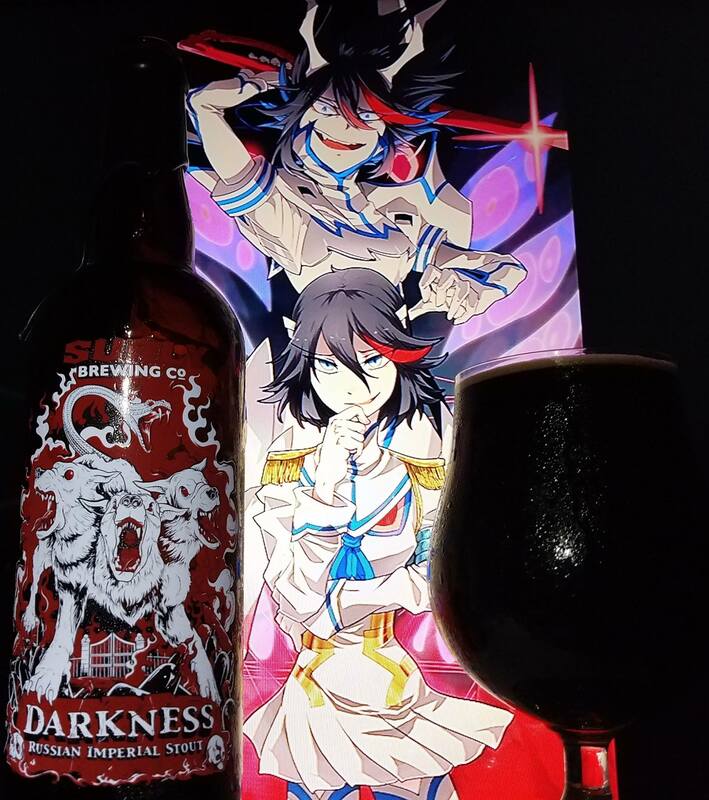 However, for this beer, if you have not ever had this one before of if you are a fan of this one, I strongly and highly recommend you find a way to get your hands on this piece of gold!!! 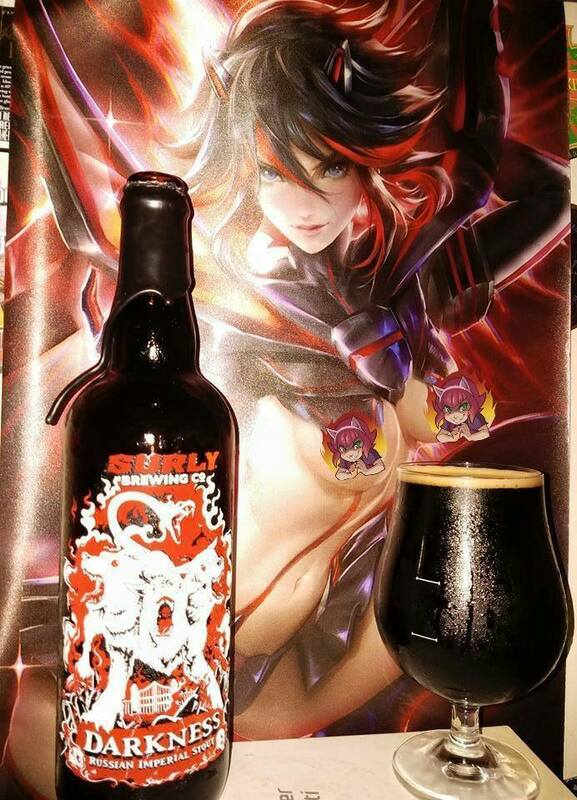 Ryuko Matoi from Kill La Kill was chosen in the previous versions of this beer. 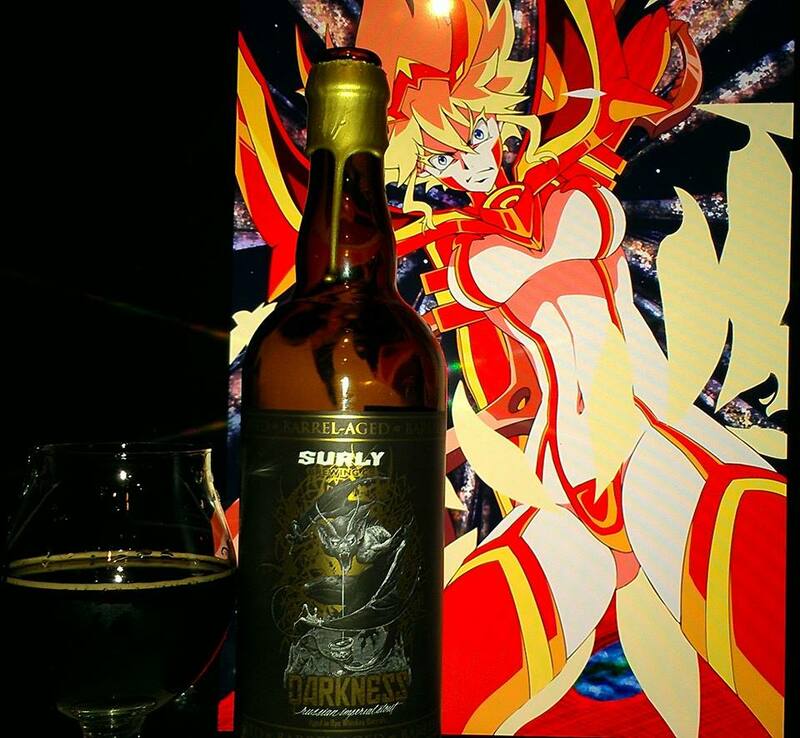 Every year I try to find as many details as I can as to why she fits with the iterations of the brew. 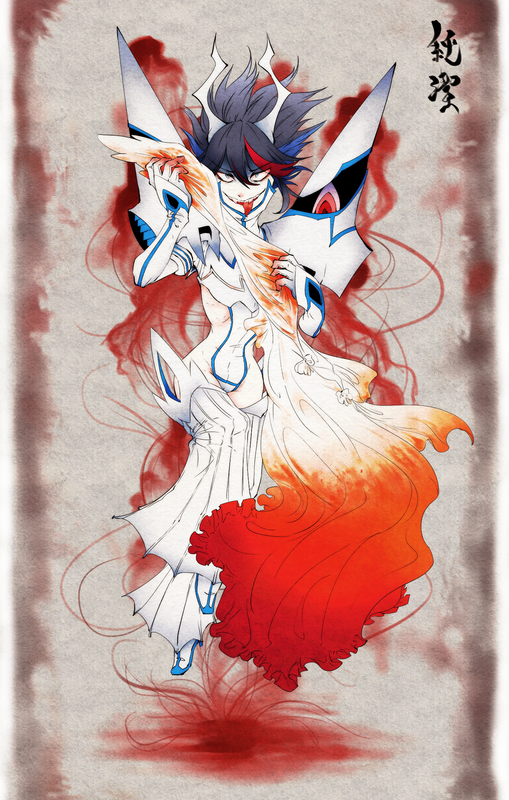 For starts, the red and white of the label pair well with the evil version of her which is the white one with Junketsu as well as the blood. 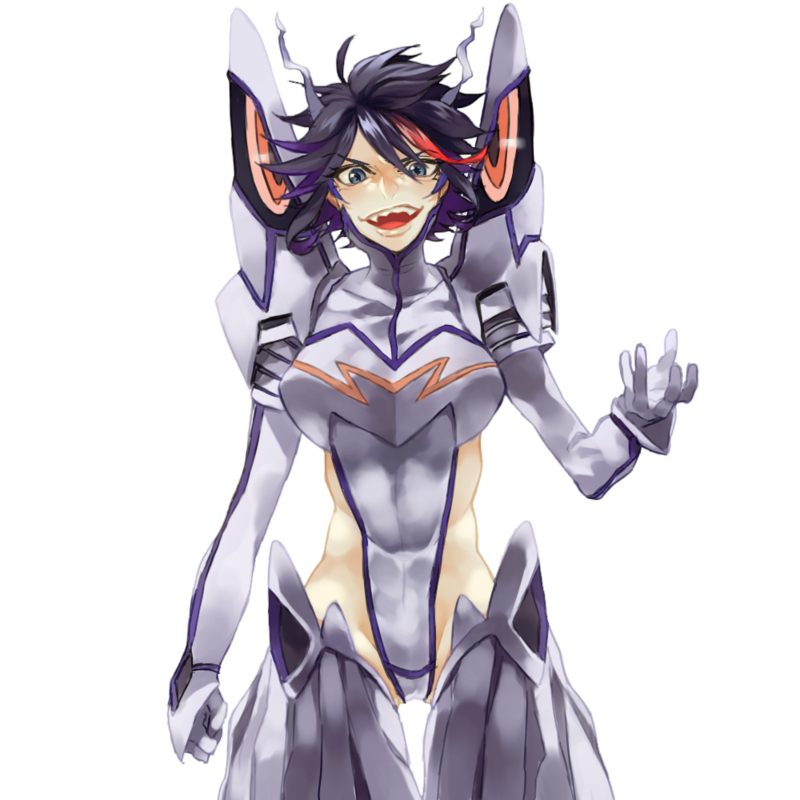 The aspect of Cerberus for her comes with the different versions of (2 Junketsus and the regular Senketsu version which is the one black armor). 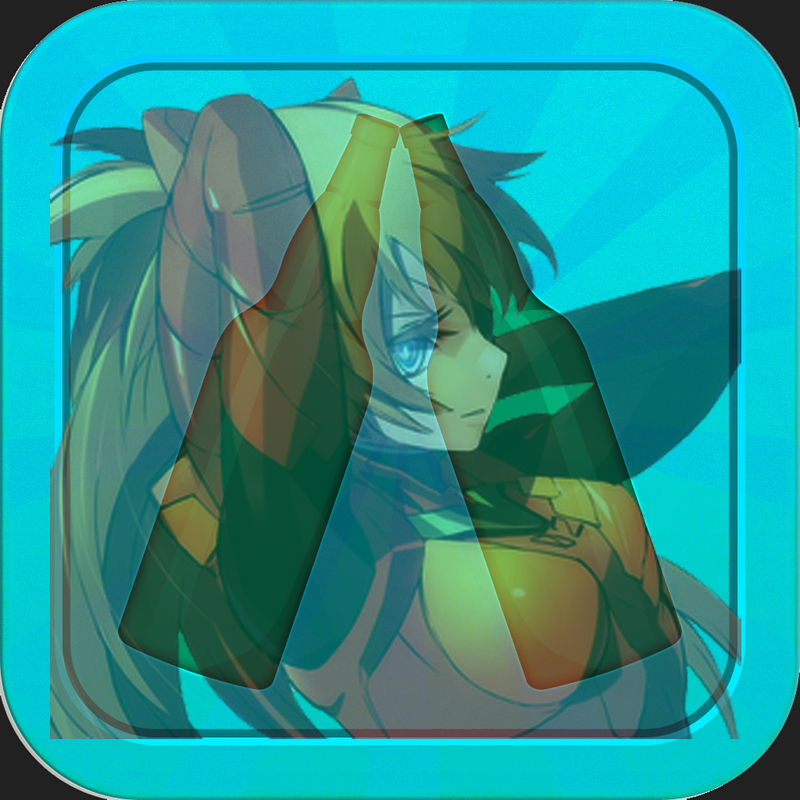 Maybe a stretch for sure but I definitely love pairing her with each year’s version since the first time I tried it.